The following cheats are available for the open world action-adventure video game Scarface: The World Is Yours on the Xbox console. Games cannot be saved while any cheat code is active. While playing as the enforcer, call Tony's car and put your grenade launcher in the weapons trunk. When you switch back to Tony, the weapon is waiting for him. Use the same method with the assassin to get the PSG-1 early on. Turn left out of your mansion's parking lot and visit the trailer parked by the brick wall. You'll exchange balls for money here, so fill your ball meter using the cheat code FPATCH and cash in. Do this as many times as you please. Go to Sandman Island and start a boat mission. Every time you destroy an enemy boat, you'll get two crates full of cash and ammunition. There are no time limits in boat missions, so this is a great way to stock up. Investing money in businesses builds your reputation and grants you other bonuses. Below is a list of investments and the upgrades they unlock. Each investment costs millions of dollars, so exploit the money trick above to get the cash you need. Unlocks new music tracks and playlist creation. Lowers the cost of Fronts by 10 percent. All henchmen get a 50 percent health boost. Montana Defense Unlocks maximum ammunition and the ability to carry an extra weapon. Unlocks all of Tony's outfits. Cops are twice as likely to look the other way. Raises maximum bets for gambling. Montana Financial Launder money with 0 percent interest. 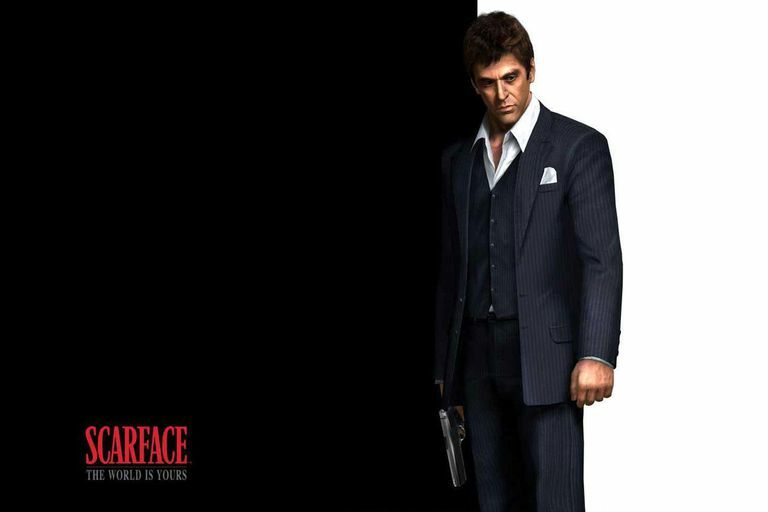 Although there are slight variations between different versions of the game, most of the above cheats also work in Scarface for PlayStation 2 and the Nintendo Wii.